Sparkle Me Pink: The 700K Steal ! 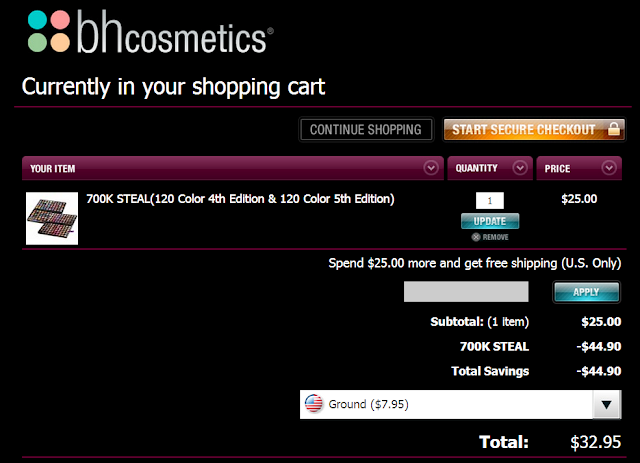 BH Cosmetics has hit 700k likes on Facebook and have an amazing deal going on but its only valid for 10 more hours !! 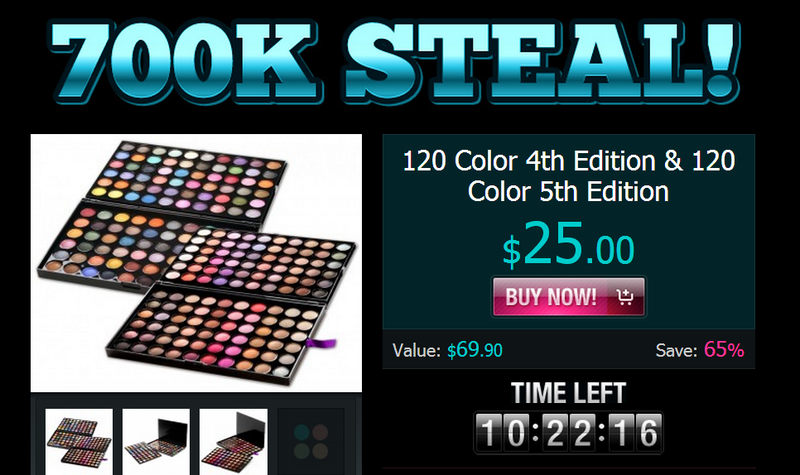 You can pick up both their 120 Color 4th Edition AND 120 Color 5th Edition palettes for only $25! 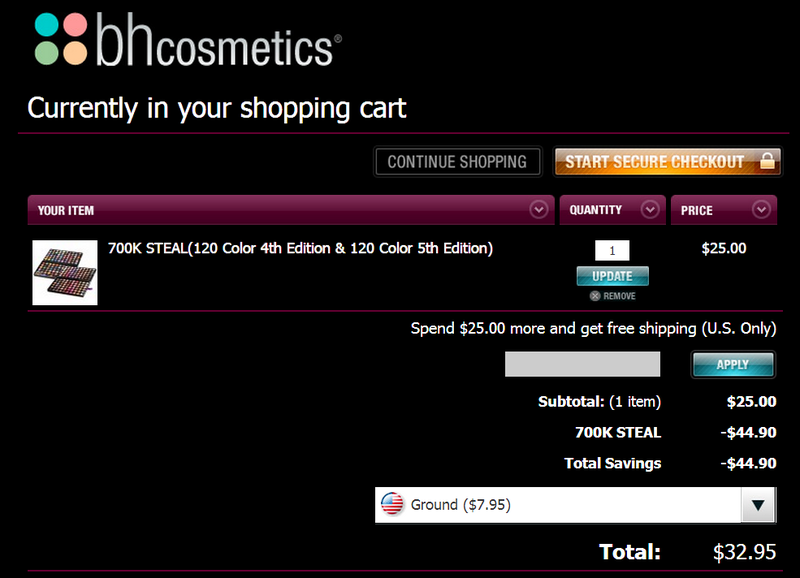 Here is what the cart shot look like including the shipping costs. Unless you spend $50 or more than shipping is free.